Opening reception being held on June 26, 2010 for the Plastic Surgery Hospital of TangShan Coal Medical University (唐山煤医整形美容医院) in Tangshan City (唐山市) in China's Hebei Province (河北省). Dr. Shin Hyun-Deok, president of Samsung Line Plastic Surgery Clinic, has recently signed a memorandum of understanding (MOU) with Chairman Tang Wen-Li (唐文利) of the Plastic Surgery Hospital of TangShan Coal Medical University (唐山煤医整形美容医院) in Tangshan City (唐山市) in China's Hebei Province (河北省), announced Samsung Line's PR officer Ji Sun-Hwa on July 19, 2010. With the MOU signing ceremony on June 26, 2010, Chinese customers are now able to receive advanced medical treatment from medical staff of Samsung Line Plastic Surgery Clinic, she said. A group of Samsung Line Clinic, led by Dr. Huh (Patrick) Chul, had to visit the Chinese city from June 25 to July 1, 2010. Dr. Huh Chul, who is well-versed in English, is regarded as a highly-acclaimed aesthetic surgeon for his precision operation since his work as a plastic surgeon at the Samsung Medical Center. 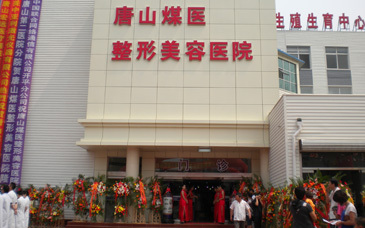 They attended the official opening ceremony of the Chinese Plastic Surgery Hospital on June 26, 2010, marking the official separation from the university hospital. 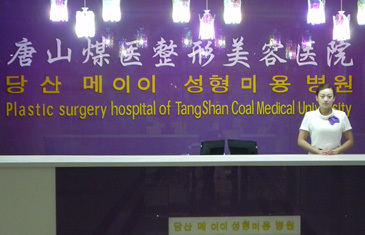 Dr. Huh (Patrick) Chul (center) sits at the VIP desk of the opening ceremony the Plastic Surgery Hospital of TangShan Coal Medical University (唐山煤医整形美容医院). Chinese local leaders including high-level Tangshan City official Dong Bao-Quan (董宝泉) and businesspeople were also invited to the opening ceremony. The Chinese hospital is the largest hospital for plastic surgery in the industrial city with nearly 7 million of population. "Presently, our medical doctors go visit the Chinese hospital for surgery and treatments once or twice per month," said Ji in a short interview with The Seoul Times. "But, our medical staff will reside there in the Chinese city once our cooperation gets under way," Ms. Ji said. She said that this medical cooperation agreement will save Chinese customers in the city time and money, as they do not need to fly over to Seoul. With total floor space of 4,000 sq. meters the four-story Chinese hospital has over 60 hospital beds. With the top-quality interior design, the hospital is equipped with state-of-the-art facilities, according to Ms. Ji. On the first floor are a skin treatment room, a laser room, a special consulting room with Korean staff, and a treatment room via satellite video. On the second floor are OB & GYN (obstetrics and gynaecology) room, and a specialty (urology) room. 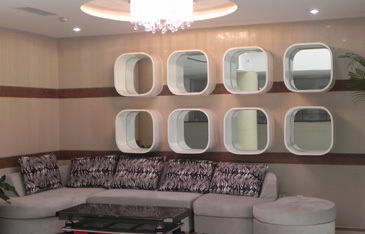 Operating rooms and VIP rooms are situated on the third floor and administration office is also on the fourth floor. Dr. Shin Hyun-Deok (center), president of Samsung Line Plastic Surgery Clinic, poses with his staff at his clinic in Seoul.